Entry to 10 draws & fantastic prizes to be won..
Full club family membership for two adults and family members..
And you will be providing your club with much needed financial support.. Thanks to all who continue to support the draw on an ongoing basis it’s much appreciated..
Castletownbere GAA Announce prizes for the current year.. This years confined members draw is now open… If your not in your can’t win if you are you could win not once but twice as Paddy and Elnora O Sullivan and Fr. Sean O Shea who were lucky enough to win two of the prizes last year. 1st Draw: Two Nights B&B with one evening meal for 2 people and €200 spending money. 2nd Draw: Two Munster Final Tickets, overnight Accommodation and €200 spending money. 3rd Draw : Two All Ireland Stand Tickets overnight Accommodating and €300 spending money. 4th Draw: €1,000 Cash Prize. There are 6 x €50 Vouchers from local businesses in between above draws.. Please support the Draw… As you can see there are fantastic prizes. 2 night accomodation in River Lee Hotel Cork and €200 spending money. Still time to join our draw by contacting any member of the committee!! Next Prize Up: Two Munster Final Tickets overnight Accommodating and €200 spending money. If your not in you can’t win..
Congratulations to Kieran O Driscoll on winning €1,000 in the final draw in Castletownbere Gaa Confined Members Draw. Congratulations to Fr. 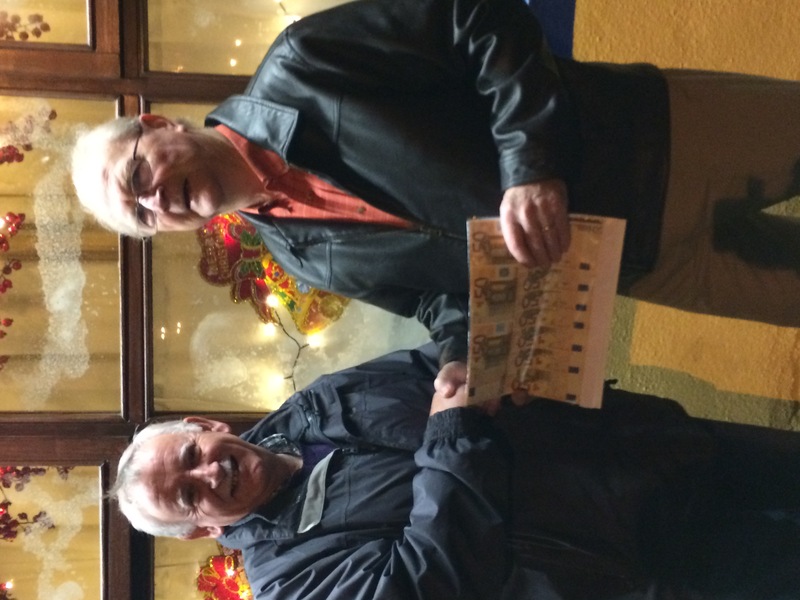 Walsh on winning €50 Voucher. The coming year will have equally as valuable and full details will follow shortly!! While there is tremendous voluntary effort put into our club for which we greatly appreciate those who give their time freely there is also cost associated with the maintenance, and improvements of the pitch, club house, dressing rooms, teams etc. 2 Nights accommodation in the River Lee Hotel Cork, €200 spending… Won by Paddy and Elnora O Sullivan. We are sure you will agree that there are some great prizes included and you will also know you are supporting your club. We are very pleased to say that this draw is filling up pretty quickly so please feel free to contact any member of the committee to sign up.. Please contact us by clicking on this link.